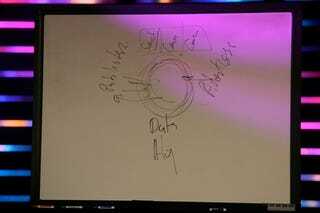 During their interview last night at All Things D, Walt Mossberg called Steve Ballmer the "maestro of the whiteboard" and presented him with a fresh one to explain how online advertising works. We know what it is. You can see words like Publisher and Advertise and Data in the fringes, but what does it look like to you?